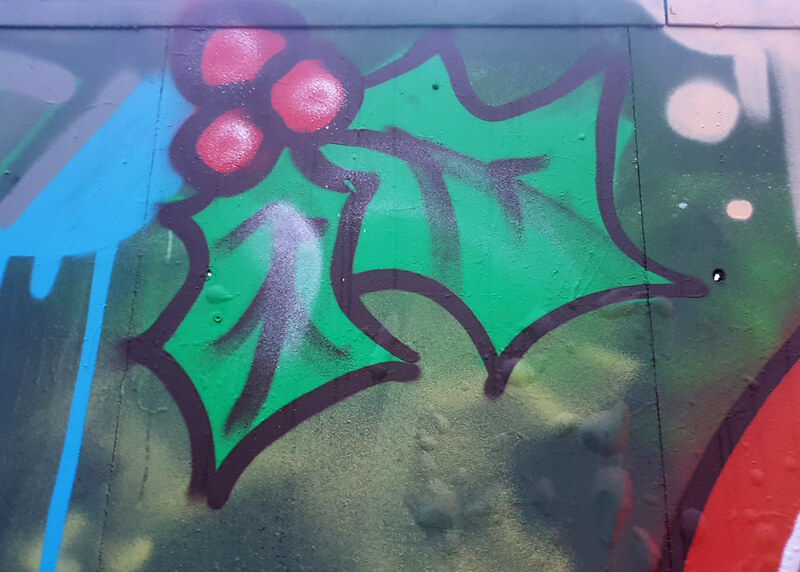 As another Christmas comes rumbling past it’s time to feature a festive addition to the Millennium Walkway. 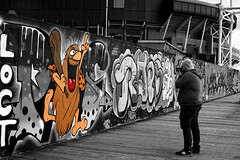 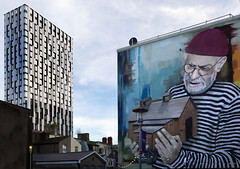 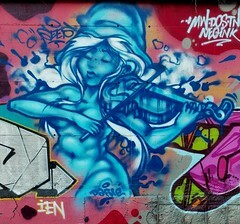 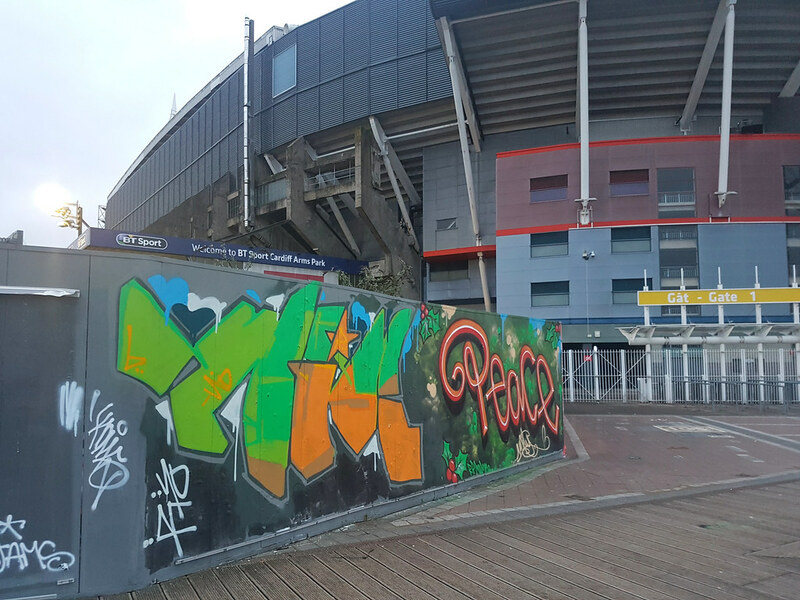 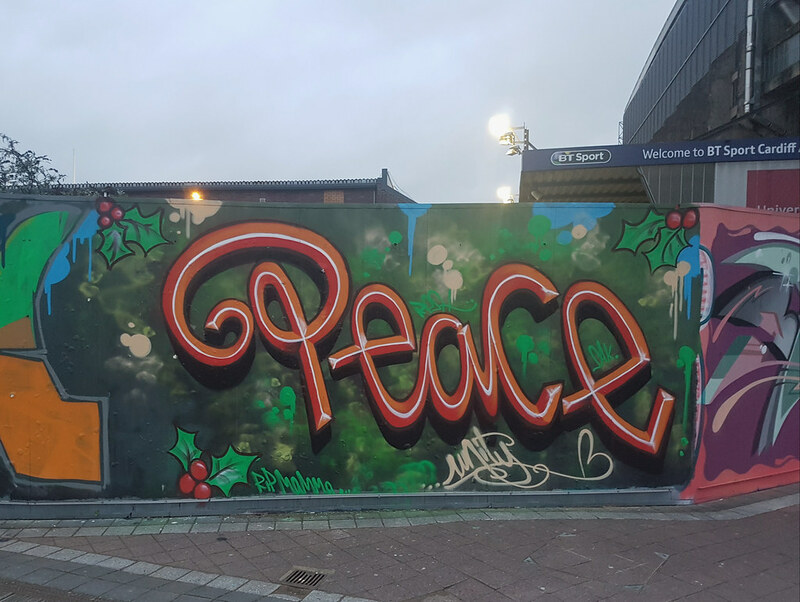 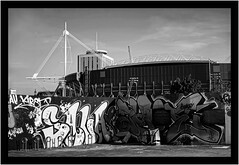 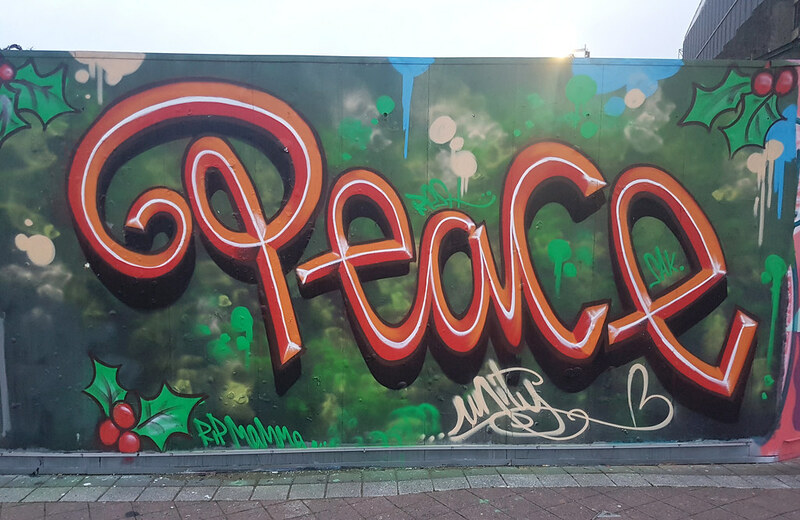 Situated on the hoardings alongside Cardiff’s Principality Stadium the work by Unity aka Millimagic and Myles Elliott capture some of the festive spirit. 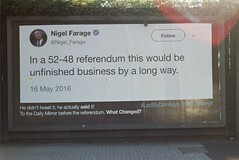 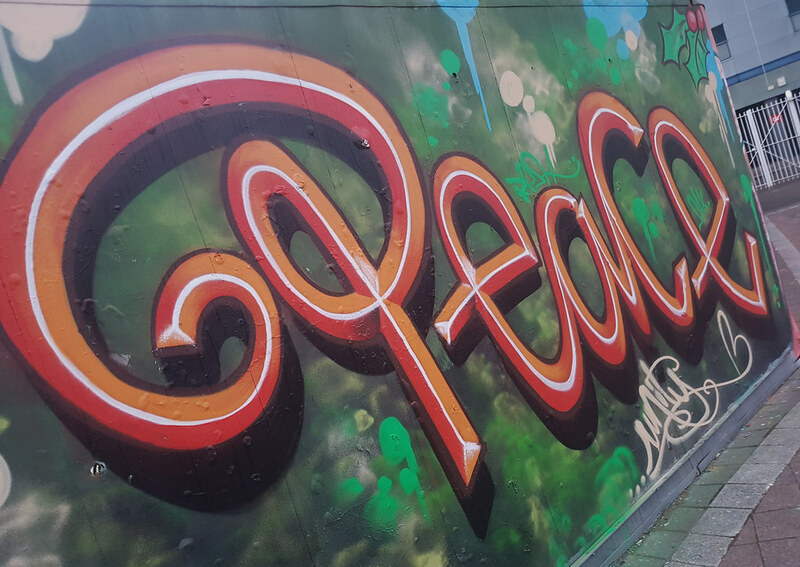 Unity has painted some large swirly red text featuring the word Peace with some sprigs of holly dotted around the edge. 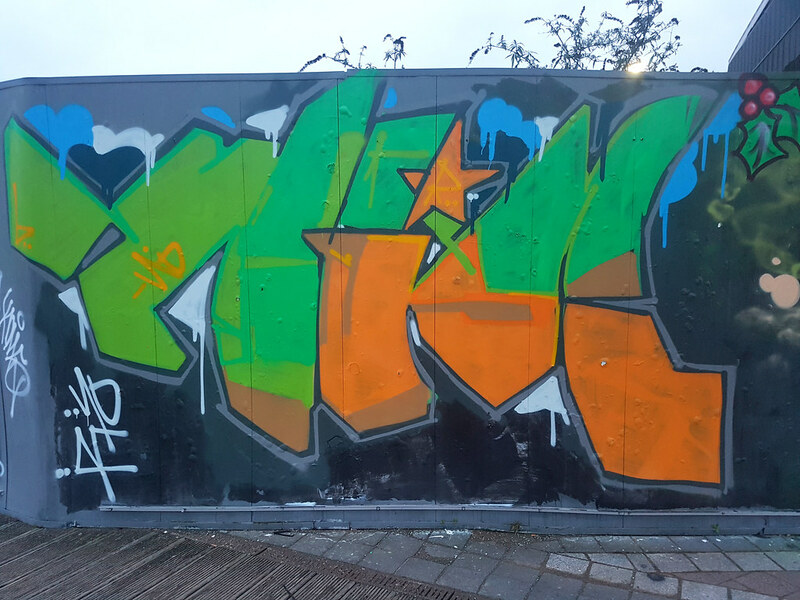 Whereas Myles Elliott has painted in his traditional abstract style alongside Unity featuring some strong festive green colours. 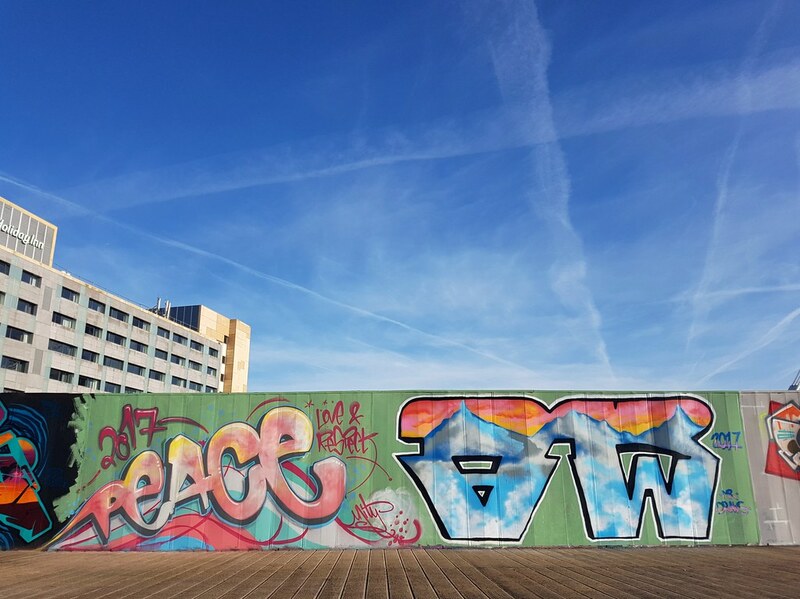 At the start of 2017 Unity was joined by Mr Draws for another Peace piece!